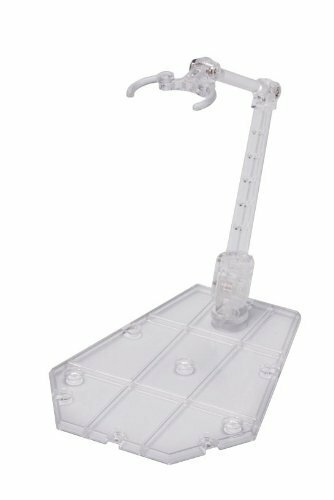 Stand set is ideal for use with Robot Spirits, Super Robot Chogokin, S.H.Figuarts, D-Arts and other humanoid action figure lines. Stand set is ideal for use with Robot Spirits, Super Robot Chogokin,S.H.Figuarts, D-Arts and other humanoid action figure lines. Includes standbase x3, support rod part x3, clip (2 types) x3, attachment joint x4 From the Manufacturer Stand is ideal for posing Robot Spirits, Super Robot Chogokin and other mechaaction figures. Stand set includes stand base x 3, support arms x 3, two typesof clips x 3, joints x 4.